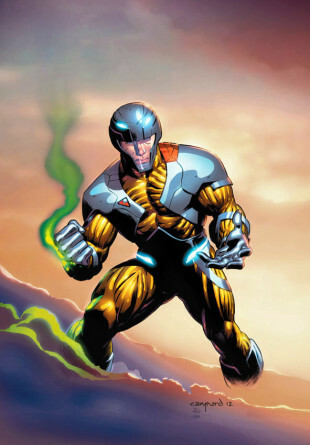 Valiant is proud to announce the X-O Manowar #1 Pullbox Exclusive Variant by superstar artist Cary Nord — the first in a new program of exclusive covers designed to encourage fans to open pull lists at their local comic shop and reward long-term pull list subscribers who pre-order Valiant’s new number one issues. 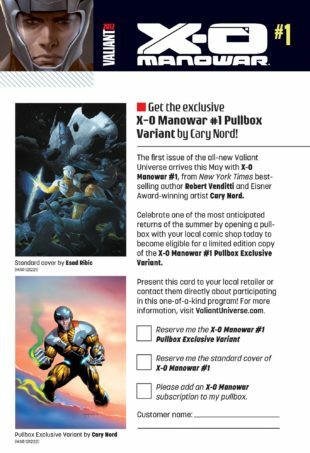 Featuring the only X-O Manowar cover by interior artist and Eisner Award-winner Cary Nord, the X-O Manowar #1 Pullbox Exclusive Variant is exclusively available only to comic book store pull list subscribers and box holders. Valiant will also be shipping in-store request forms for the Pullbox Variant program to retailers during their March ordering period. Register your store for access today at ValiantUniverse.com, or download your own Pullbox Variant request form below! 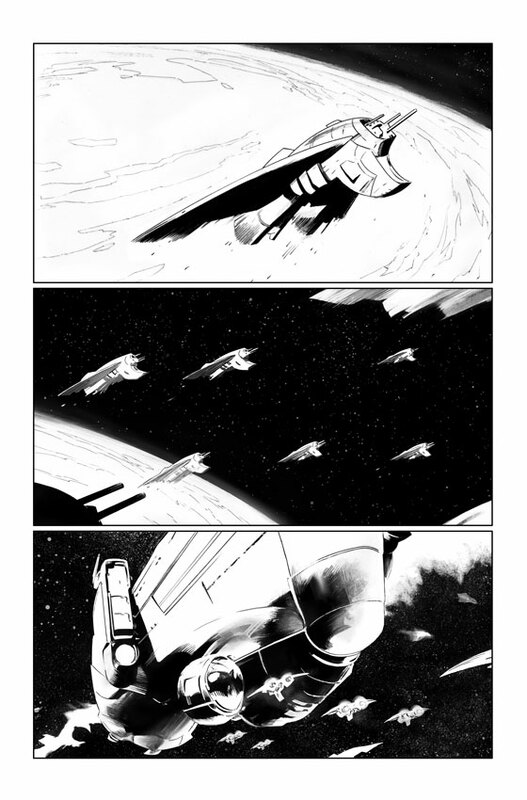 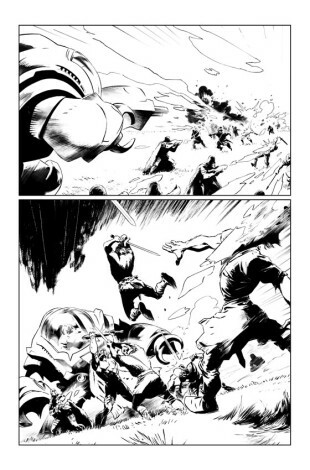 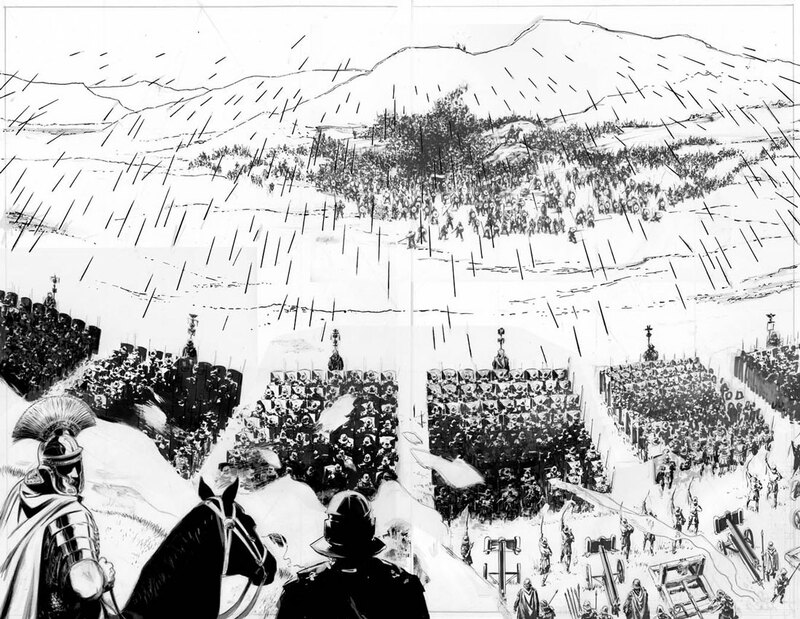 Plus take a look at some never-before-seen interior pages from X-O Manowar #1! X-O MANOWAR #1 ­- ON SALE MAY 2nd!